What’s the difference? Not all appendages are created equal. Arms and tentacles both serve different functions for different Cephalopods. 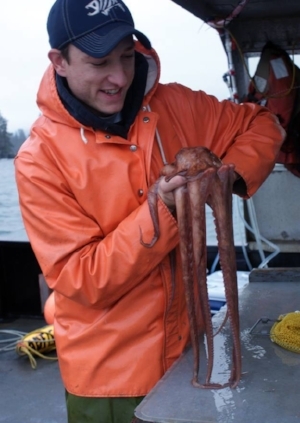 Join Alaska Zoo Outreach Coordinator, Nathan Hollenbeck, to find out more about the reaching arms and the tentacles of some fascinating animals. Photo provided by Nathan Hollenbeck. Wildlife Diaries programs are illuminating presentations on wildlife topics oriented for zoo patrons of all ages! They are each Tuesday in June, July and August, starting at 7pm on the coffee shop lawn at the Alaska Zoo. Presentations are FREE with paid admission (or membership) into the zoo! Wildlife Diaries are sponsored by ConocoPhillips and are all ASL interpreted.